I feel we have and who might be King is not that important to us. As we look after one another everyday here at Pale Rose cottage. 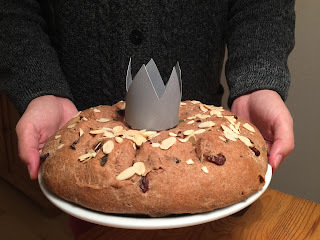 It was a big bread we baked and we have eaten from it with great enjoyment. Have you baked on January the 6th? What did you make? We live to know! !